Ever wonder about that strange-looking guitar Lindsey Buckingham of Fleet- wood Mac has been playing all these years? Learn more about Rick's days with the Greatful Dead and Owsley "Bear" Stanley. Be sure to check out our Stories. Built in 1969 and featured in New York's Museum of Art and Design, learn more about this one of a kind guitar. 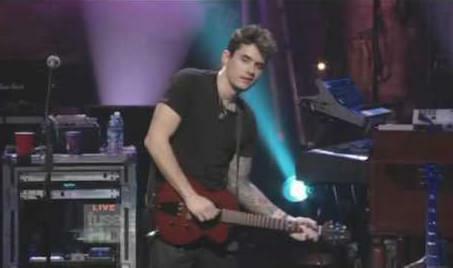 John plays Half of My Heart at New York’s Beacon Theatre on his Model 1 guitar. Fresh Air’s rock historian, Ed Ward, has recorded "an appreciation" of Rick’s old band, AutoSalvage braodcast on NPR. 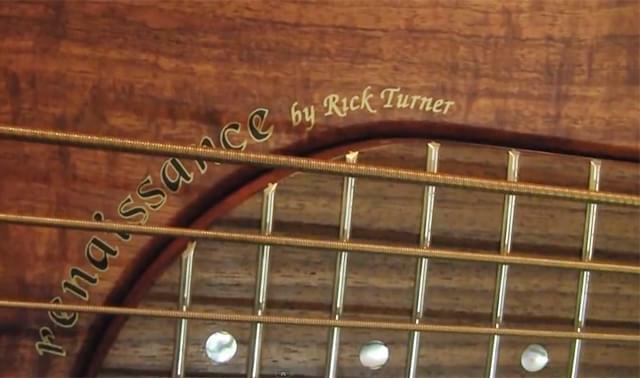 Ed Friedland, The Bass Whisperer, demonstrates the Renaissance 6-String Bass. PG's Jason Shadrick is on location in Iowa City, IA, at the Englert Theatre where he catches up with Lindsey Buckingham's tech Stanley Lamendola to find out with the he's using on his current solo tour. 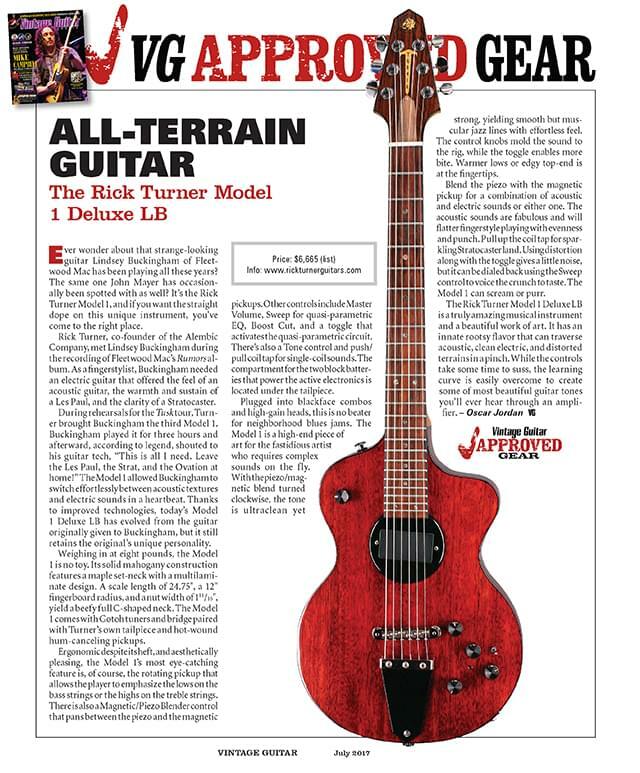 The gear includes a collection of custom Rick Turner guitar. David Gans returns for the full weekend of Skull & Roses 3 with The Grateful Dead Hour, Tales from the Golden Road and Fragile Thunder. Known for incisive, literate songwriting, David is also noted for his music loop work, often creating spontaneous compositions in performance.